On Monday at Climate Masters in Pearl, the Reeves family business, Lt. 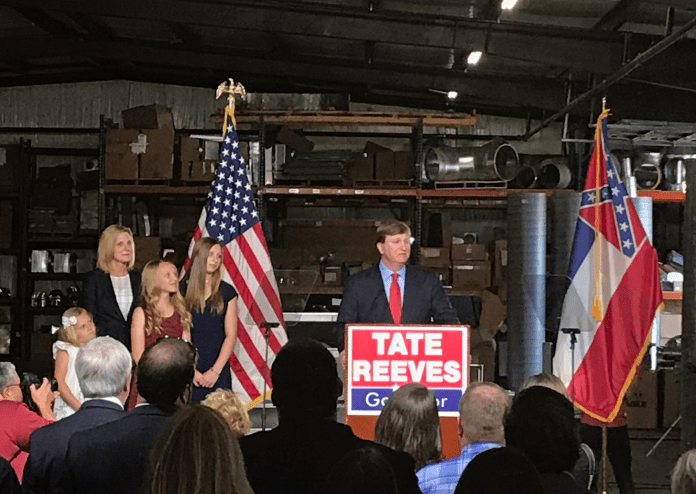 Governor Tate Reeves kicked off his 2019 campaign for Governor. 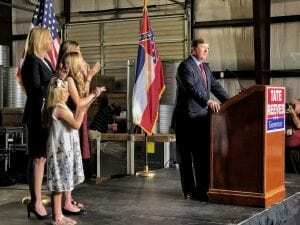 Reeves began by reminding the crowd of his competitive spirit and fighting for the conservative goals of Mississippians. He referred back to a movement in 2003, what he called an uprising, to ‘throw the liberals out.’ Reeves was part of that movement, running as Treasurer, along with former Governor Haley Barbour and current Governor Phil Bryant. Reeves’ primary issues of focus are education, watching tax spending, guarding the 2nd amendment, pro-life, preventing crime, and improving health care. However, he also talked about making it a priority to bring more business to Mississippi and making the state the number one creator of jobs in the South. He said the goal should not be to grow government but to grow job creation in the private sector. This calls for a trained workforce and that, he says, comes from proper education. 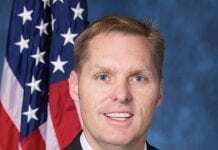 A teacher who was in the classroom when Lt. Governor Reeves took office, will make $8,000 more today than they did before he was there. While he did say that wasn’t enough, Reeves said he is committed to making sure teachers are compensated. He says Jim Hood won’t do the same. Reeves also spoke with reporters at the end of his speech and addressed issues like why in his speech he did not mention his primary opponents, why he didn’t debate at MSU with Waller and Foster at the beginning of April, and what he anticipates to see as far as future teacher pay raises. Next articleEmpower Mississippi: The ESA program is working. Why is it so small?